IJGlobal is an online database of infrastructure and project finance transactions and assets. 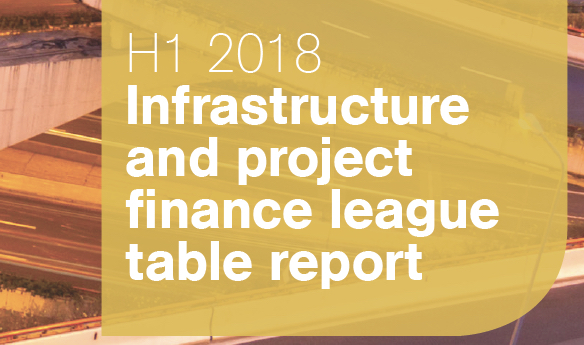 At the end of 2018, IJGlobal issued their IJGlobal Infrastructure Finance league table report for the first half of 2018. Two of the portfolios in which H1 Holdings is a shareholder were ranked in the Sub-Saharan Top 5 deals. These deals were the Kangnas Wind Farm (140MW) and Perdekraal East Wind Farm (110MW) in fourth place and the Scatec Solar South African Solar PV Portfolio (258MW) in fifth place. H1 Holdings is also listed under the Sub-Saharan Africa Infrastructure Finance section as a leading Sponsor, ranked alongside partners Building Energy and Mainstream Renewable Power. H1 Holdings is a 35% shareholder in three new utility-scale solar PV projects near Upington in the Northern Cape. These plants, Dyasons Klip 1, Dyasons Klip 2 and Sirius Solar, (75MW each) will generate a total of 258MW at peak output. 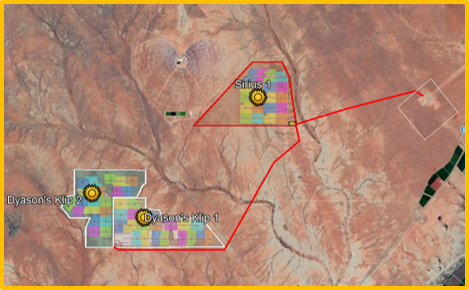 The projects were contracted to Scatec Solar ASA by the Department of Energy in April 2018 under Round 4 of the REIPPP. The three plants are under construction and commercial operations is scheduled for the first and second quarters of 2020. On an annual basis the three plants are set to produce 650GWh of electricity and offset 550 000 tonnes of CO2 emissions. The three projects will bring much needed job creation to the Northern Cape. H1 Holdings is a 11.25% shareholder in two new utility-scale wind projects – Kangnas Wind and Perdekraal East Wind. Our co-shareholders in these projects are Mainstream Renewable Power, African Rainbow Energy and Power, Lekela and Old Mutual. These projects were contracted in April 2018 by the Department of Energy under Round 4 of the REIPPP and financial close was achieved in June 2018. 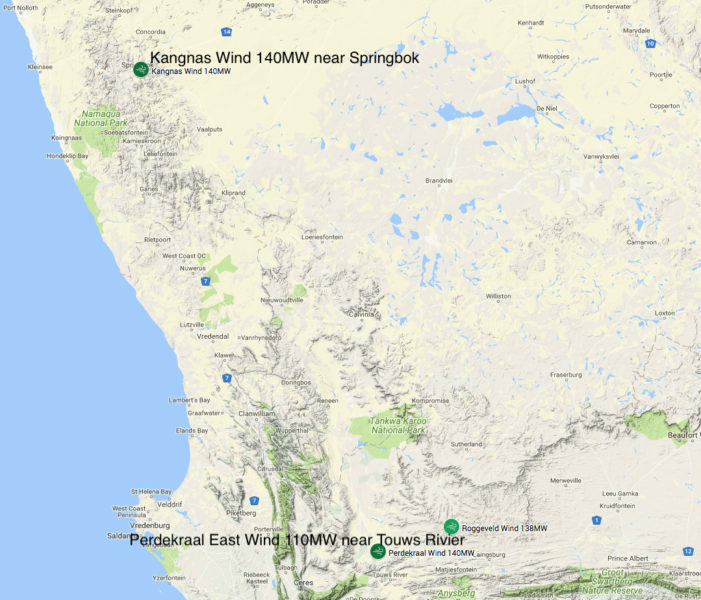 The 140MW Kangnas Wind Farm will be built near Springbok in the Northern Cape and the 110MW Perdekraal East Wind Farm will be built near 80km northeast of Ceres in the Western Cape. The total investment value of the two projects total R6.6 billion. Kangnas Wind Power and Perdekraal East Wind Power will begin construction in 2018 and are set to operate from 2020, bringing significant job creation to the remote areas. In addition, the projects have committed R1.1 billion to community investment over the 20 years of operation. It is expected that these projects will assist in reducing South Africa’s carbon footprint. Kangnas Wind and Perdekraal Wind will have economic benefits as a result of job creation and “value for money” in terms of the cost of the electricity generated by the wind farm. H1 Holdings is a 23.25% shareholder in the 147MW Roggeveld Wind Power project, together with our partners Building Energy, the PIC and the project’s community trust. This project was awarded preferred bidder status in April 2015. The Power Purchase Agreement and related contracts were signed on the 4th April 2018, and financial close was reached later in the month. The achievement of financial close means that the construction phase has begun. The Roggeveld Wind Project is in the Laingsburg area, straddling the provincial border of the Northern and Western Cape. This is a large project with expected capital expenditure in excess of R3 billion. When the project is completed in 2021, it will generate approximately 613 GWh of electricity per year. This meets the energy needs of roughly 49 200 South African households every year while offsetting the emission of about 502 900 tonnes of carbon annually. In addition to providing cleaner energy, this project will have a positive economic impact, in terms of a lower electricity tariff relative to Eskom’s generation cost as well as on job creation. 5300 new jobs will be created and a further 7920 long-term jobs will be created. We are proud to be long term partners in this project and look forward to the next phase of this project. 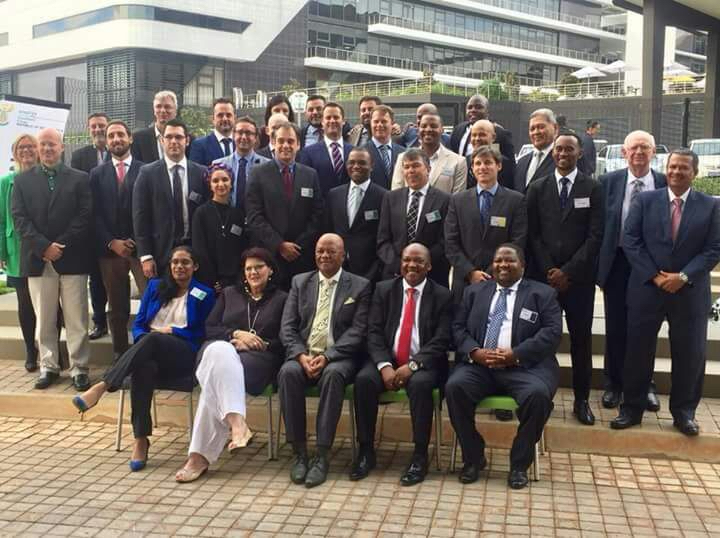 The photo was taken at the signing ceremony on the 4th April 2018 and features H1 Holdings directors, Reyburn Hendricks and Lionel Jacobs, along with Jeff Radebe (Minister of Energy) and members of the IPP office. H1 Holdings is proud to announce that our multi-award winning Eternity Power Thermal Harvesting™ clean energy project has been registered as a Clean Development Mechanism (CDM) project. This innovative project is registered with the United Nations Framework Convention on Climate Change (UNFCCC), allowing the clean energy power plant to earn carbon credits for each tonne of carbon offset by its electricity production. Eternity Power is one of 57 registered stand-alone CDM projects in South Africa and is the only CDM project using patented Thermal Harvesting™ technology. The project not only reduces carbon emissions but also generates an alternative source of clean energy for the Anglo American Platinum Waterval smelter. The Eternity Power Thermal Harvesting™ project captures waste heat from the convertor cooling circuit at the smelter to generate up to 5MW of electricity which is used by the smelter for its internal power consumption. 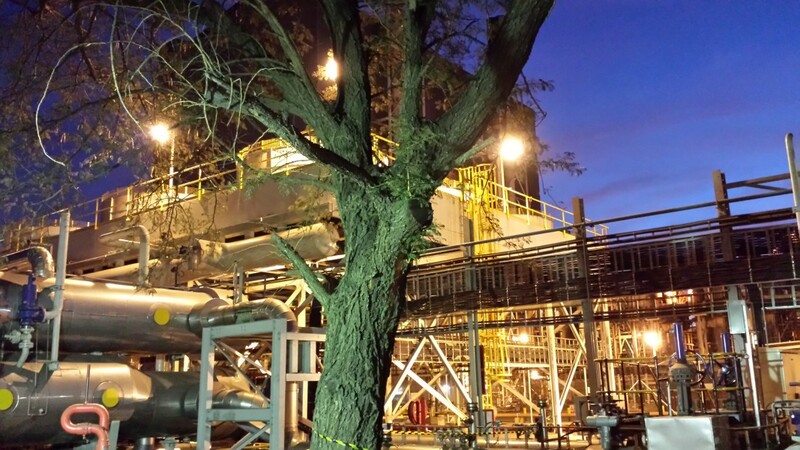 The plant is registered to offset 15 279 tonnes of CO2 per year. The CDM credit period will run for 10 years. The Eternity Power Thermal Harvesting™ project was developed by Vuselela Energy in collaboration with Anglo American Platinum. The power plant is a first of its kind in the field of clean energy production. 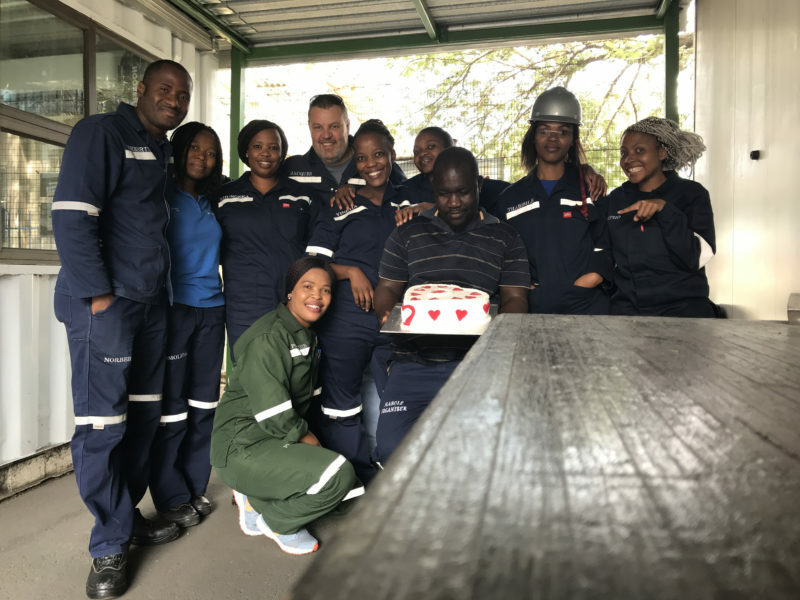 In January this year, Vuselela Energy (an H1 Holdings company), welcomed three new Engineers in Training. The new Engineers in Training work at our multi-award winning clean energy power plant, Eternity Power, near Rustenburg in the North West province. We welcome Khungeka Sidlai, graduate of the Cape Peninsula University of Technology (CPUT); Philiswa Mdletye, a University of Johannesburg graduate and Sisipho Mntonga, also a graduate of CPUT. 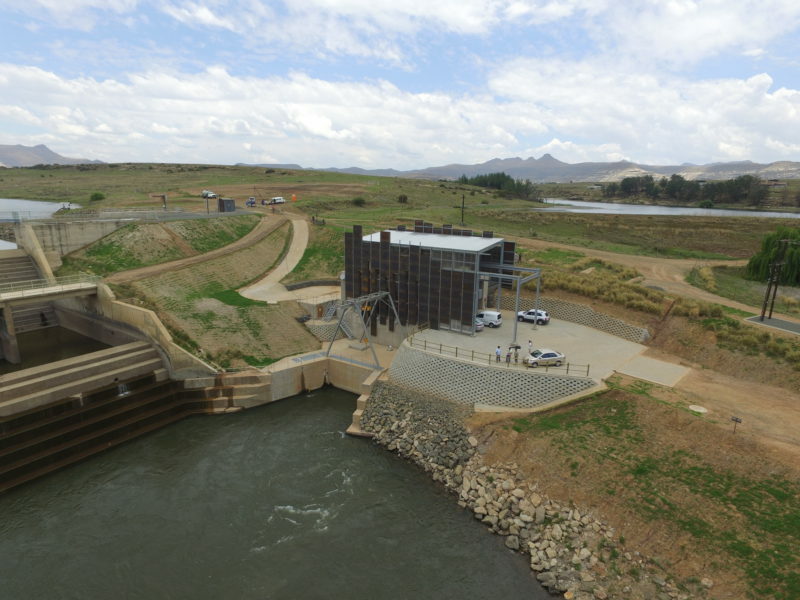 Stortemelk Hydro, the successful run of river hydro plant near Bethlehem, Free State, has won another award. 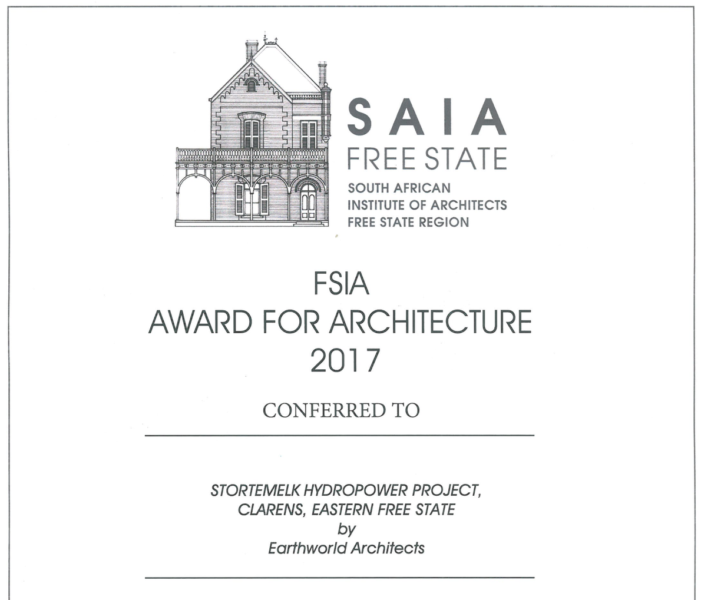 This is a quote from the CEO of our partner in the plant, Renewable Energy Partners, Anton-Louis Olivier: “I am very proud to announce that Stortemelk Hydro has received an award for architecture from the regional South African Institute of Architects. It is probably one of the first times a power plant in SA has been awarded for its architecture! It is important for me that our hydropower plants not just generate electricity efficiently, but also create a broader sense of value. Having this power plant and structure, which could still be operating 100 years from now, recognised for its architectural value, is a great reward”. Joshin Raghubar is the CEO and Director of iKineo and is its founder. He has extensive experience in providing marketing leadership to numerous multinational clients. H1 Holdings has a shareholding in iKineo with its business partners Sprout and Explore Sideways. 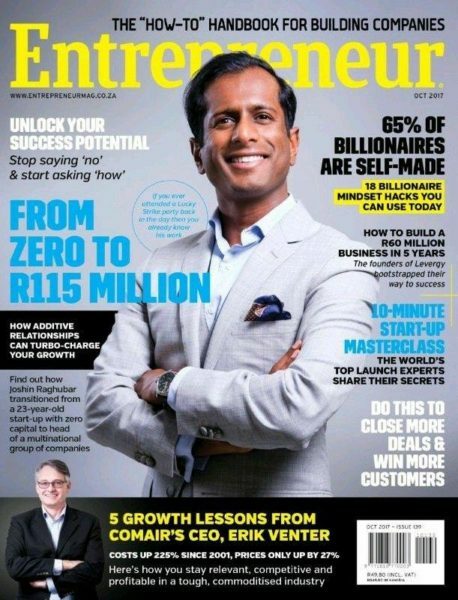 Joshin is featured in the October edition of the Entrepreneur magazine where he talks about how he “transitioned from a 23-year-old start-up with zero capital to head of a multinational group of companies”. TsiBA is a private university which offers a business administration degree and has been operating for 11 years. The Tertiary Institute for Business Administration (TSiBA) is unusual in that it does not receive any subsidy and offers all qualifying students a fully funded bursary. Reyburn Hendricks, director at H1 Holdings, has been a trustee of the TSiBA Education Trust since 2008. Reyburn is a director of the university since 2014 and volunteers time to help build the financial sustainability of the university. More information about TSiBA and its good work can be found at www.tsiba.org.za. Each year H1 Holdings sponsors the cost of a student to complete a Bachelor in Business Administration. This year’s student is Furnill Manus from Wellington, who is doing particularly well with his specialisation in Entrepreneurship and Leadership. 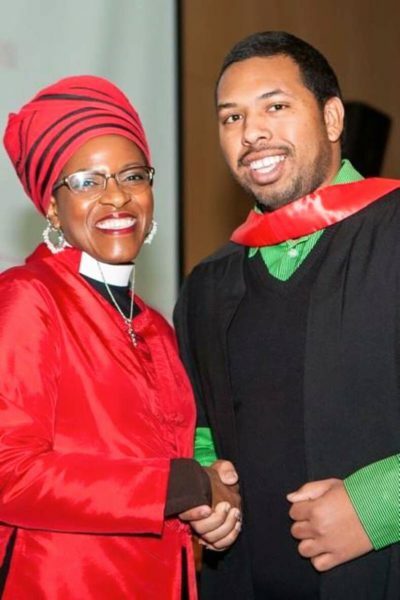 The photo features Furnill at his Higher Certificate in Business Administration graduation with Mpho Tutu. H1 Holdings is a key shareholder in a new 4.5MW hydro project, Stortemelk Hydro. The successful plant operates as a run-of-river power station near Clarens in the Free State province, with an annual output of 28GWh. Stortemelk Hydro is the third hydro power plant developed in South Africa and it has performed beyond expectations since commercial operations on 29th of July 2016. 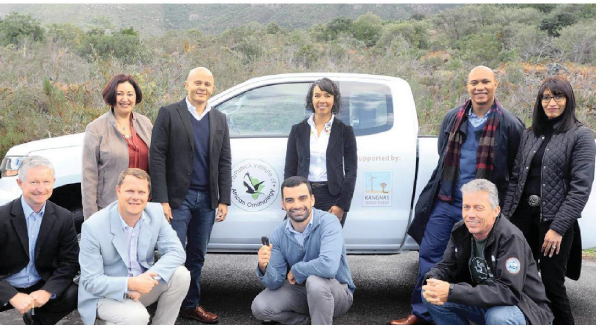 H1 Holdings partnered with Renewable Energy Holdings for the project and it is one of the few projects under the REIPPP that is 100% South African-owned. H1 Holdings project Eternity Power Thermal Harvesting™ has won its fourth award, the Renewable Energy Research Excellence Commercial Application Award. The award recognises the novel technology Eternity Power used to generate electricity from geothermal heat and is sponsored by RECORD – the Renewable Energy Centre of Research and Development. 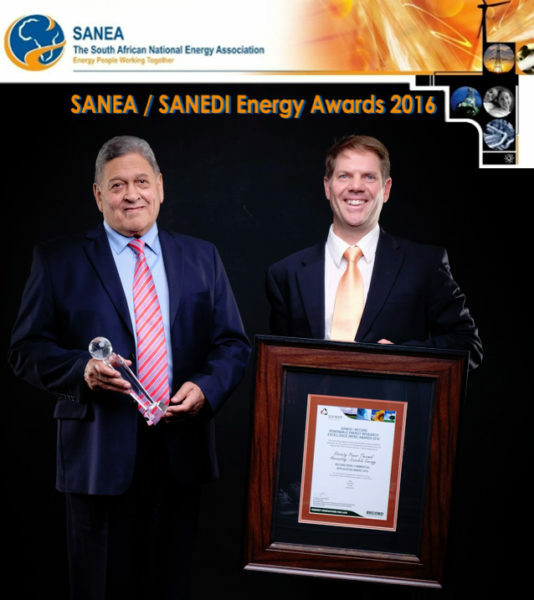 The South African National Energy Association (SANEA) hosted the awards at a gala ceremony in Johannesburg, 16th September 2016. H1 Holdings and Vuselela Energy are excited to announce that the innovative Eternity Power Thermal Harvesting project has been selected as a finalist for the Sustainable Technology Award 2016 by the IChemE Global Awards. This prestigious competition celebrates sustainable technologies from across the globe, with Vuselela Energy being the sole finalist from Africa. The nomination marks Vuselela Energy’s debut on the world stage as a cutting edge sustainable energy technology. 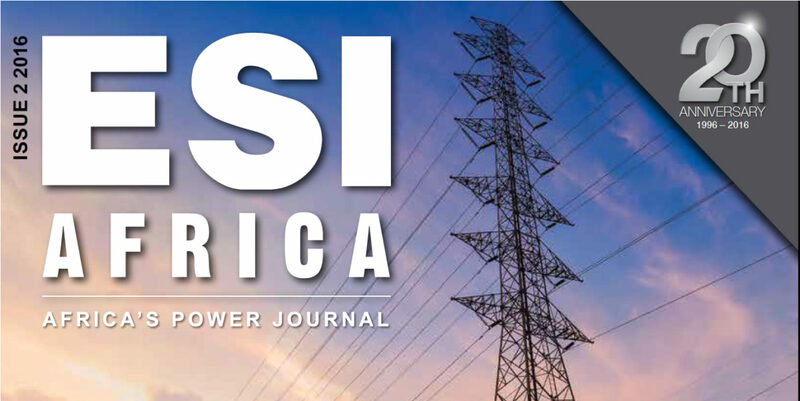 ESI Africa – Africa’s Power Journal – published an interview with Vuselela Director, Vernon Harding. The article features our award winning project Eternity Power Thermal Harvesting™. The photo features Vernon Harding, Director at Vuselela Energy and Nicole Barwise from Menlopark High School at the Balalaika Hotel in Sandton. 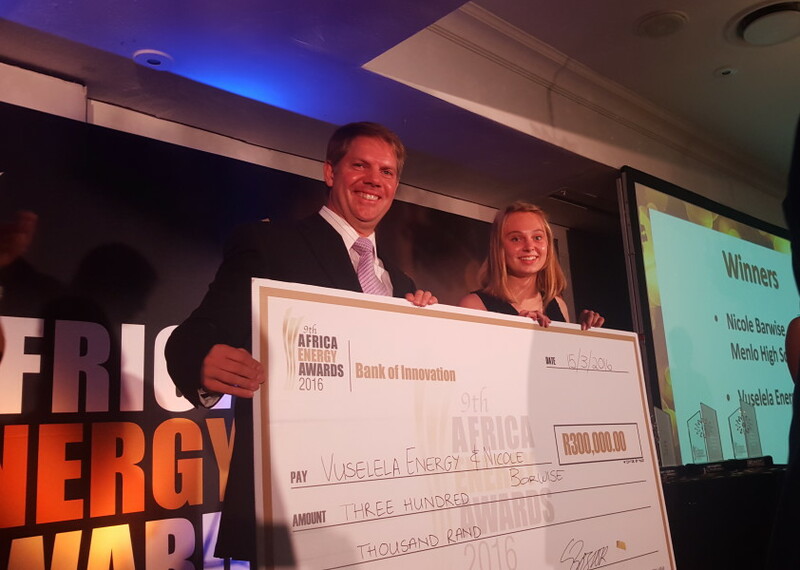 The December 2015 issue of the African Energy Journal features an in depth article written by David Poggiolini about the award winning Eternity Power Thermal Harvesting™ project. Download the article here: Eternity Power African Energy Journal. This article was first published in African Energy Journal, and re-used here by permission of the Publisher of African Energy Journal, Interact Media Defined. H1 Holdings, Vuselela Energy and Eternity Power are proud to announce that our Vuselela Energy Eternity Power Thermal Harvesting™ project was inducted into the Hall of Fame at the 2015 MyWorld of Tomorrow SA Innovation Awards. The Eternity Power Thermal Harvesting™ project was also a finalist in the Collaborative Innovation award and the SMME Innovation award. Congratulations to Jacques Malan, a director of Vuselela Energy and Eternity Power, for winning the Innovator of the year award. H1 Holdings is the majority shareholder in both Vuselela Energy (Pty) Ltd and Eternity Power (RF) (Pty) Ltd and is involved in the management of the companies. 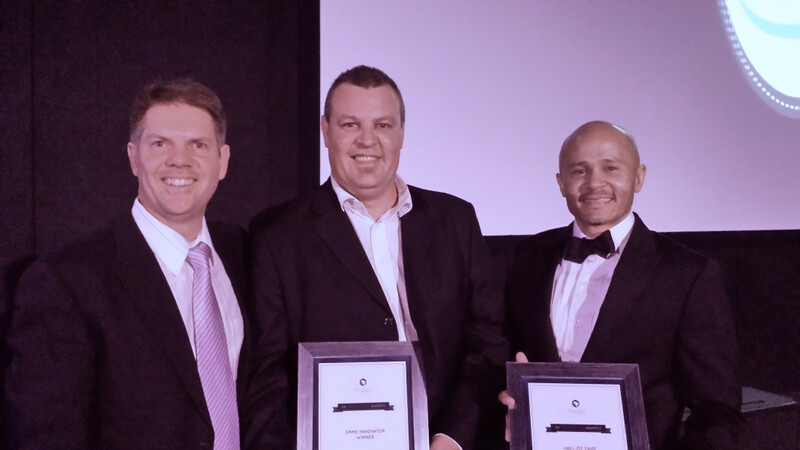 In the picture from left to right: Vernon Harding, director at Vuselela Energy and Environmental & Process Solutions; Jacques Malan, director of Eternity Power and Vuselela Energy; Reyburn Hendricks, director of Eternity Power, Vuselela Energy and H1 Holdings. 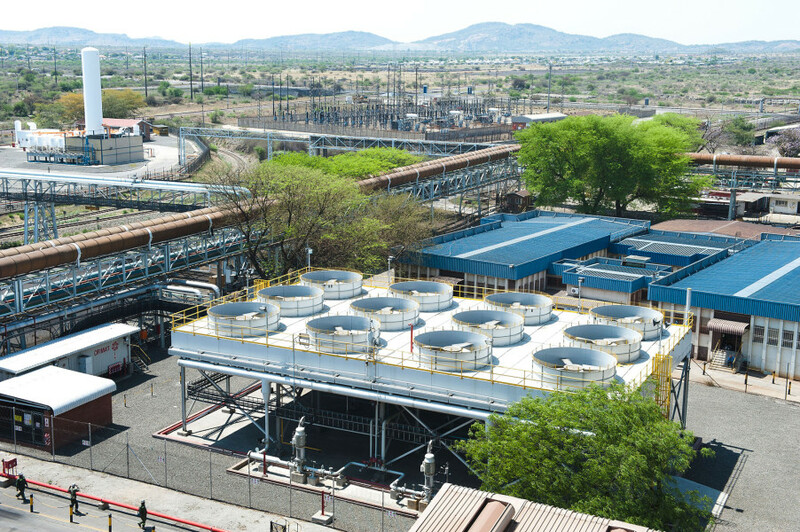 Vuselela Energy and H1 Holdings together with Anglo American Platinum Limited officially opened a clean energy power plant, Eternity Power, at its Waterval Smelting Complex in Rustenburg. The Minister of Trade and Industry, Rob Davies, opened Eternity Power and gave the keynote address. The Eternity Power Thermal Harvesting™ project was developed by Vuselela Energy in collaboration with Anglo American Platinum at a total project cost of R150 million and commissioned in June 2015. Eternity Power is an innovation in the field of energy efficiency and a first of its kind co-generation power plant in South Africa, creating cleaner and inexpensive power for the Anglo American Platinum smelters general consumption. 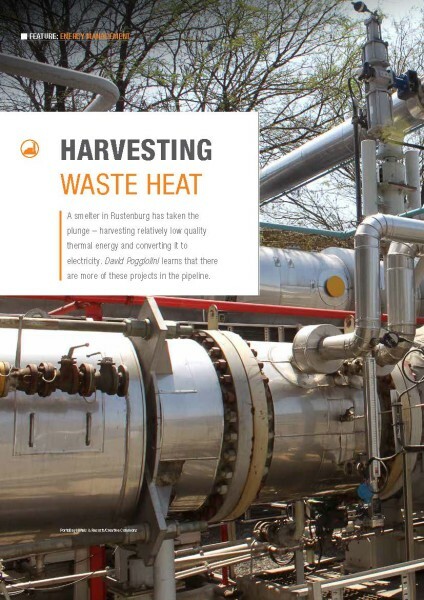 This ground-breaking initiative uses waste heat from the Anglo American Platinum Conversion Plant (ACP) convertor cooling circuit to evaporate an organic liquid and drive an expansion turbine. The plant has an installed capacity of 5MW of which 4.3MW is available to the grid reducing Anglo American Platinum’s capacity bought from Eskom. The amount of power generate also results in a reduction of the smelter’s carbon footprint and a more efficient use of energy. The project was supported by the Department of Trade and Industry who provided a R30 million grant as part of its Critical Infrastructure Programme (CIP) which leverages investments to the South African economy by providing infrastructure critical to industrial development with the aim of increasing exports of value-added commodities and creating employment opportunities. The project was designed, engineered and project managed by local company EPS – Environmental and Process Solutions, based on technology supplied by Israeli company Ormat, a world leader in Organic Rankine Cycle systems. Reyburn Hendricks, Director at Eternity Power and H1 Holdings said “The smelter sector is an important component of South Africa’s mining and industrial economy and is a large consumer of electricity. Smelters emit large quantities of energy in the form of furnace off-gas as well as the emitting of heat. For various reasons, the majority of smelters have not historically sought to capture this form of waste energy. The Eternity Power Thermal Harvesting™ power plant is innovative in that it has been designed to capture relatively low quality thermal heat from the smelter and convert it to electricity”. TSiBA NPC is a private university which offers a business administration degree and has been operating for 10 years. The Tertiary Institute for Business Administration (TSiBA) is unusual in that it does not receive any subsidy and offers all qualifying students a fully funded bursary. Reyburn Hendricks, director at H1 Holdings, has been a trustee of the TSiBA Education Trust since 2008. Reyburn is a director of the university since 2014 and volunteers time to help build the financial sustainability of the university. More information about TSiBA and its good work can be found at www.tsiba.org.za. For the past few years H1 Holdings has been sponsoring Haley Chapendeka and in July this year she graduated from TSiBA with a Bachelor in Business Administration. Haley Chapendeka is 22 years old and after graduating will further her studies through UNISA. 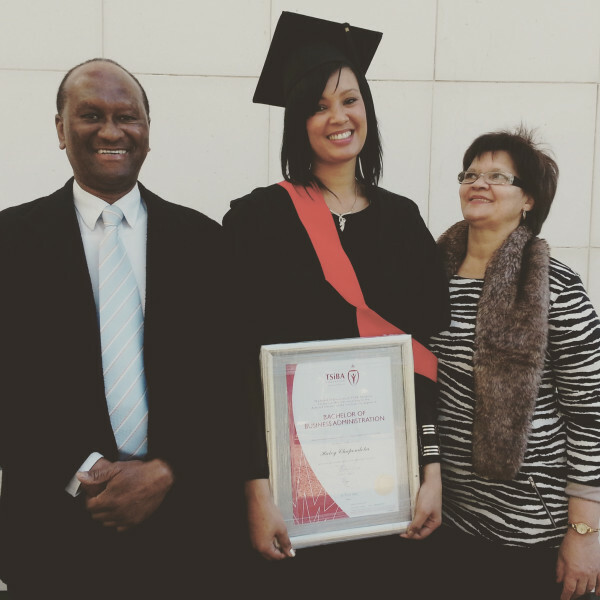 Janine and Unathi from H1 Holdings attended her graduation and attached to this post is a picture they took of Haley and her proud parents. We will follow Haley’s journey in the future and wish everything of the best. Eternity Power is a Thermal Harvesting™ Power Plant at the Anglo Platinum Waterval Smelting Complex near Rustenburg. It represents an innovation in the field of energy efficiency and is the world’s first power plant of its kind. The plant is designed to generate 4.3MW of clean energy using waste heat generated by the converter and will result in a reduction of the smelter’s carbon footprint. In June 2015, the plant was hot commissioned and is performing beyond expectations, generating more power than designed even at lower than expected heat loads. We are extremely satisfied with the results so far. It demonstrates that our Thermal Harvesting™ concept can deliver cheaper clean power at high levels of availability with no impact on the client’s underlying operations. It is a concept that we believe can be successfully implemented at other large South African mining and industrial companies. Vuselela Energy is the original developer of the project and operates and manages the plant. Both Eternity Power and Vuselela Energy are subsidiaries of H1 Holdings.